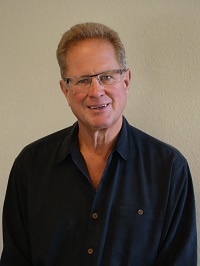 Tim Henning is a Senior Sales Leader with 25+ years of experience in the medical capital equipment space, leading sales efforts for Philips Medical, ADAC Laboratories, DFINE and Alliance Imaging. He helped ADAC earn the prestigious Malcolm Baldridge National Quality Award and he has transformed many poor sales performers into winning teams, leading them to peak levels of sales excellence. Here are the highlights of an interview in which Tim gives his take on the pay-offs and the challenges that come with sales territory management. How important is territory management compared to all the responsibilities a sales executive has? Territory management should be 75% of what sales leadership concentrates on, because it includes the strategy and tactics that sales leaders need to execute to achieve their objectives. The rest is minutia. But many sales managers would put it at only 10% because they don’t realize how impactful it can be. Why do you think might be resistance to putting a territory management process in place? It’s hard work at first. Those who haven’t done it probably don’t realize that there will be a big payoff if they stay the course. Sales teams can be very short-term oriented, so the motivation for sales planning must come from management. In today’s world, sales teams are so busy reacting to all the digital input that they don’t make time to be proactive and really think about what they need to do. What do sales leaders need to do differently to support territory management? Convincing top management and then sales managers to support and use the process. Engaging sales people to learn the company’s process for territory management and accept that good planning and reporting is expected. Being out there with their team, “leading from the front” and showing them how to create and execute solid territory plans. Making territory management and plan review a regular practice. How can a sales leader be successful implementing a territory management process? Establish a territory management process and template. This makes it easier to generate effective sales plans. You can do this by creating your own template or using and adapting one that is commercially available. Provide training on the process, how to use the template to create and how to manage plans. Ensure the sales management team uses and reviews territory plans and reports. Most importantly, use it yourself. What examples can you share that show how territory management improved sales results? I put a new rep into the Houston area where there were no customers, no support people…nothing! I worked with her to create a territory plan. Because she kept working and fine-tuning her plan, her territory became the top-performer in the country for five years in a row. You might be able to achieve good sales results for a year if you’re lucky. However if you want to produce sustainable results, you must have a plan that outlines how you will maintain your current account base and add new accounts to build market share. If you neglect either, you will miss big opportunities. The planning process has also helped me allocate resources appropriately. For example, as soon as I took over our European operation, I did an analysis and realized that we didn’t have a prayer in Germany. So I pulled the resources from there and deployed them elsewhere, which enabled us to win big across the rest of Europe. What are your top tips for sales executives and sales managers today? Make the decision to install a territory management process and be a champion for it. Take the process implementation one step at a time – baby steps will lead to success. Find a mentor who has been successful with territory management and learn from them.